Over the years the Governors have included in their number many accomplished Gaelic scholars, writers and poets as well as leading citizens of Oban and Argyll. The Governors meet three times a year, twice in Glasgow and once in Oban. 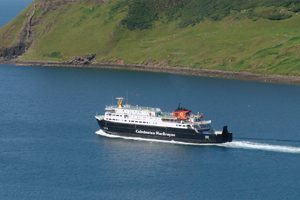 The Oban Meeting every August has, as its primary business, the award of McCaig Bursaries to students leaving school and about to enter university education in Gaelic. The Trust makes annual awards to under-graduate students of Bursaries and Grants as well as Scholarship awards to post-graduate students and Grants to other bodies and persons specifically for activities which will encourage and develop interest in Gaelic. An innovation for 2009, in conjunction with Argyll and Bute Council, is the award of McCaig Prizes for Gaelic Endeavour to school pupils, both primary and secondary, learners and native speakers.